Friends. It’s HERE! Cyber Monday notoriously hosts the best online sales of the year, and I’ve done some sleuthing (over the course of staying up all night) to confirm that they really are that good. Some retailers even one-upped their Black Friday offerings, so even if you scored some sales this weekend, definitely check to make sure you aren’t missing out on anything better today! The inspiration board below is made completely up by products offered in the huge number of sales going on today. Nordstrom is offering a ton of Kendra Scott pieces at a crazy discount, and I’m in shock that the entire Kate Spade site is 30% OFF with the code SHINE. Finally, had to let y’all know that I caved and bought the black Tory Burch boots yesterday! I’m obsessed with my brown pair, so the unbelievable discount made it impossible not to jump on owning the black as well. There are still plenty of sizes left, so be sure to scoop up a pair! 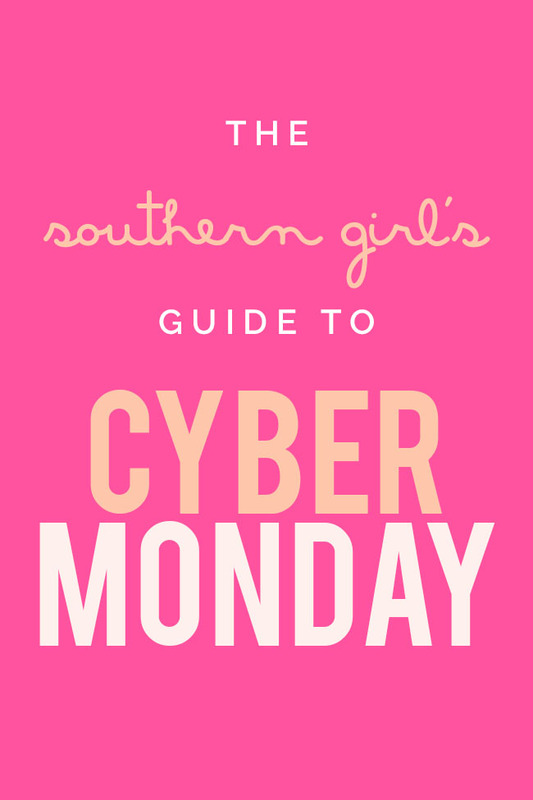 Click through directly to shop each product, then scroll below to see an alphabetical outline of the best deals of Cyber Monday! Let me know what you end up grabbing in the comments. Can’t wait to hear! I absolutely love the luggage, and am fangirling over the gloves! Gloves, please! Leopard accessories are my favorite. I love that luggage and the Tory Burch boots! Such great staples. I absolutely love the Barrington duffle and the Tory Burch tall boots! Obsessed with the leopard gloves!! I adore that J.Crew vest and that adorable lace tank! Both pieces can be worn with so many things and dressed up or down! That vest would look so cute with a flannel and booties ,and that lace shirt could be worn with almost anything to make a cute, casual New Year’s Eve outfit! I love the tassel earrings and the j.crew vest! I must say all of your sale posts have been making me shop way to much but that is totally okay…I am a sucker for a great tank and this one is such a great layering piece! I love the anthropologie booties!! Love the J. Crew vest! The pearl earrings are my favorite! Love love love the duffle and those boots ? That cream J Crew vest. And the Tory boots, of course! I like the black lace tank !! My favorite is the Barrington bag! Thanks for introducing me to that company! Also this is random but- thank you for mentioning Jesus in your video about happiness. I was listening and tracking with you throughout the video but those things are fleeting and He is the real substance of happiness and true joy. Thanks for taking the stand to say that! You are so beautiful and it’s a pleasure following you! I’m OBSESSED with the extra large Acrylic Block Monogram Necklace!! Like omg this would be adorbs paired with pearls. love. love. love!!! I would def get it in the tortoise shell color! Those leopard gloves are to die for!! I love the navy and fur coat! The luggage is by far my favorite!! The weekender bag is my fave!!! The hat for sure! So classy and chic! my favorite is the vest! the boots are so cute too! I adore the Barrington duffle bag. I’ve been looking for a great new duffle and love Barrington’s designs! That Kate Spade watch ? In love with the Tory Burch boots! Those cheetah gloves though — my fav by far! Everything is so fun. So I almost feel as if I’m the only one, but I absolutely love those leopard gloves!! And they’d go perfect with the simple Kate spade watch also!